The 15 Songs of Ascents (Psalm 120-Psalm 134) were sung by journeying pilgrims on their way ‘up’ to Jerusalem, fulfilling their obligations to attend the three annual festivals (Deut. 16:16). The psalms celebrated various characteristics of God, earlier psalms from the perspective of an outlying area e.g. “I lift up my eyes to the hills…”, Psalm 121:1 and later “Lift up your hands to the holy place…” Psalm 134:2. The pilgrimage is one of shared values, not an individual act. The consecration of Aaron, representing priests in general, with “precious” or special fragrant oil, was an impartation and also a sign of being set apart for service. The picture is of people coming together in a unity of God’s values and purpose, creating a spiritual dynamic and demonstrating a sign of commitment to God’s purpose, to those observing. 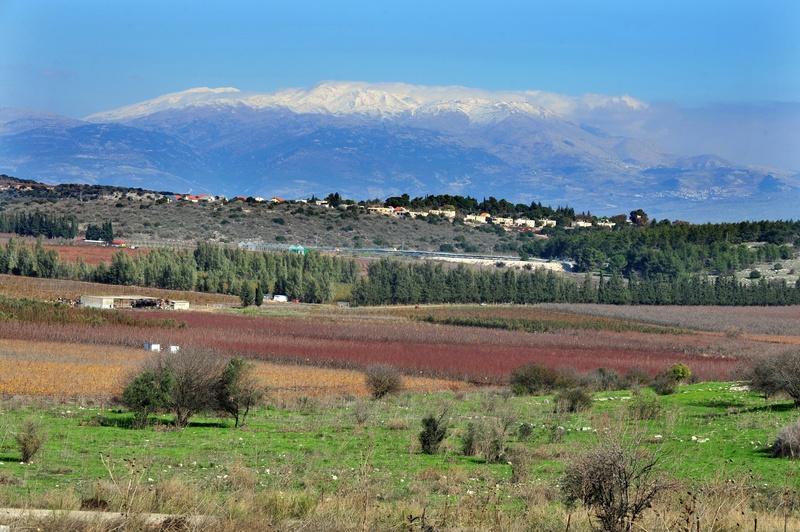 Mount Hermon in the north-east of Israel is often snow-capped, with dense dew from the moist air there. Zion, by contrast, is arid and often lacks dew. The imagery is of the rich dew of Hermon falling on the dry and dusty slopes of Zion. “The Lord bestows His blessing” – a recurring theme in the ascent psalms. Pilgrims journeyed to worship at the place seen as the place where God particularly ‘dwelt’ or as we would say, presenced Himself. Today, many thousands travel to New Wine or Spring Harvest or Soul Survivor to find a particular sense of the presence of God in a large and enthusiastic gathering there – perhaps not so very different. Individualism was not a part of Jewish culture in the way it is in ours – but it is still a trait of human nature. We could say it is “of the flesh”. It is not a good road to head down, because of where it leads. A good definition of sin is that it is independence from God, which is the foundational reason for why we get into rebellion and fall short in many ways, do things we shouldn’t do and leave undone things we should have attended to, etc. Independence from God is where it all gets off track, and unity with others who are seeking God is where it all comes right again. In a world which distrusts institutions and dislikes the fuss and formality of organised religion, the witness for Jesus Christ has to shed a lot of baggage to be effective. Where people representing different strands of church history and different emphasis come together in friendship and mission, the world notices – and listens. To show Jesus to an unbelieving world requires us to be one in His kingdom purpose, and hold our personal and church-congregation emphases lightly enough to put down at will. Where do we as Christians “live together in unity”? And where do we, in our attitudes and judgments, put up barriers to that unity?